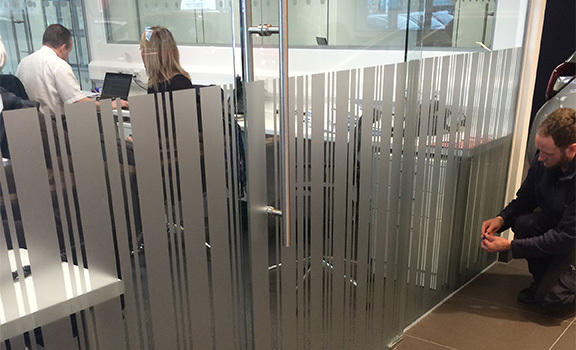 We offer etch effect vinyl for privacy and branding in meeting rooms, showrooms and conference suites. It is also a good method for glass awareness manifestations to meet with construction guidelines. We also supply and fit films including one-way vision.